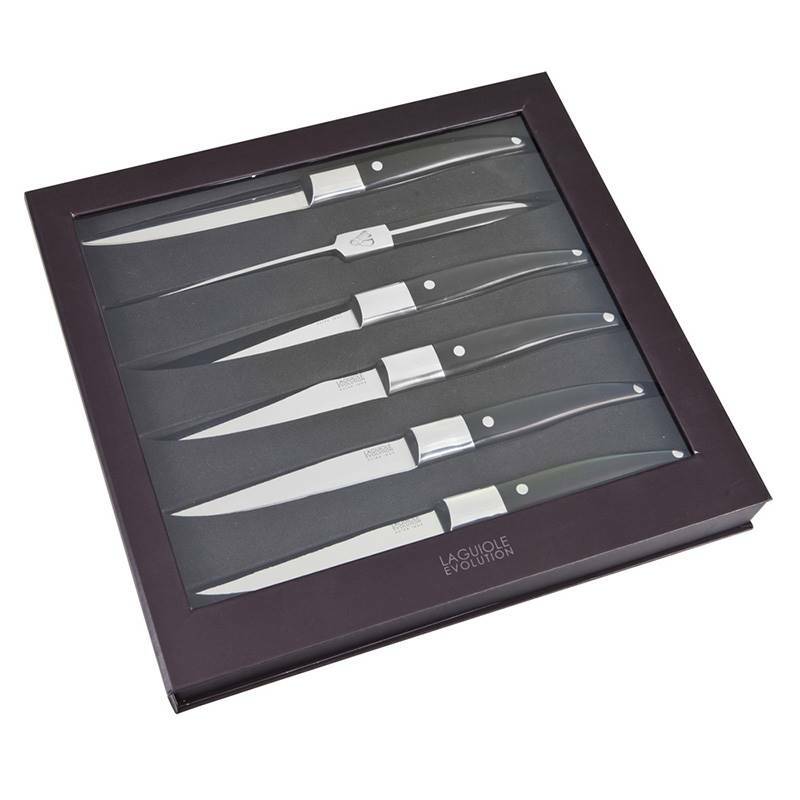 Designed in France, these steak knives have been created by the Design & Creation department of TB Groupe. 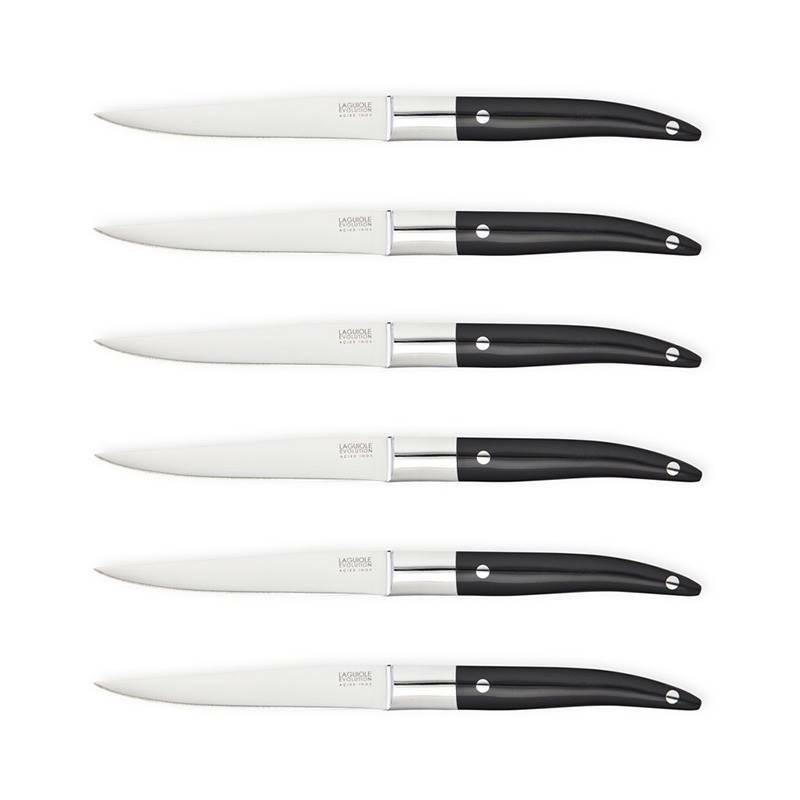 Famous for their know-how passed down through generations, the French cutler revisits the traditional lines of the famous Laguiole knife to offer elegant and contemporary cutlery. Slender and uncluttered, their style can be immediately recognised. 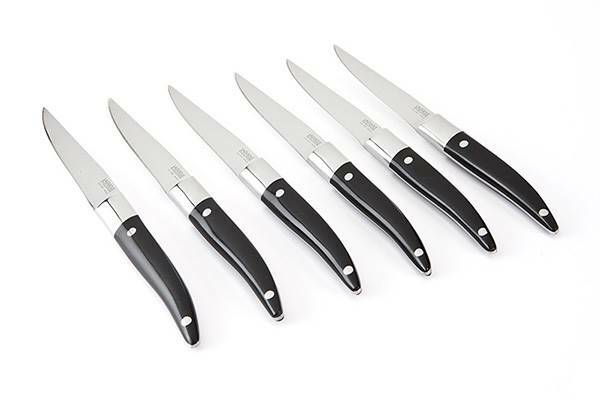 Tarrerias-Bonjean adapts its kitchen knives to the daily needs of cooks and cooking enthusiasts. The company uses high quality materials to ensure sturdiness and durability. 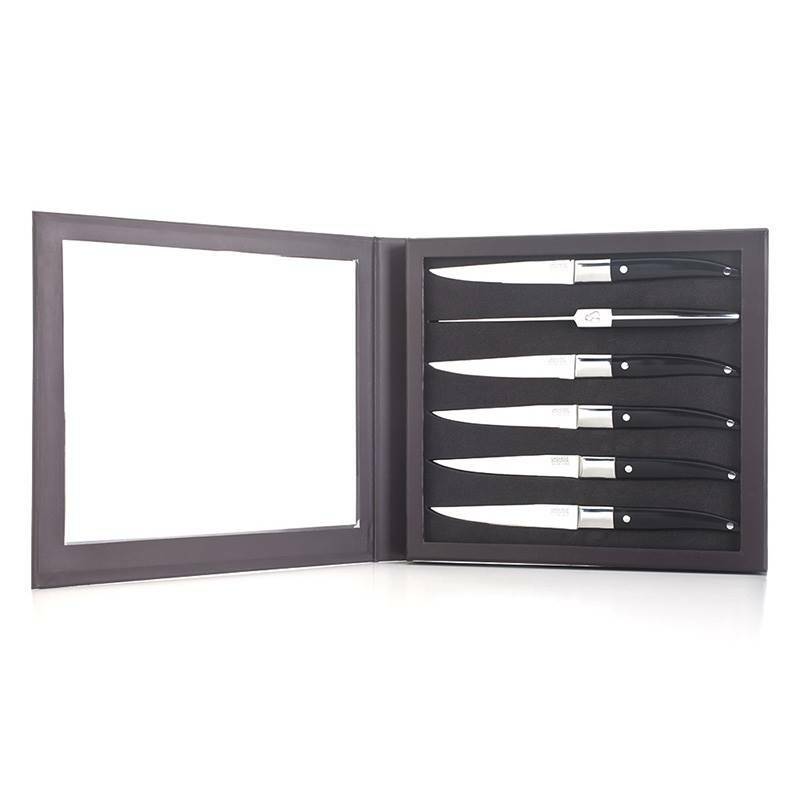 These steak knives are manufactured with a full tang forged blade that guarantees an extreme robustness. 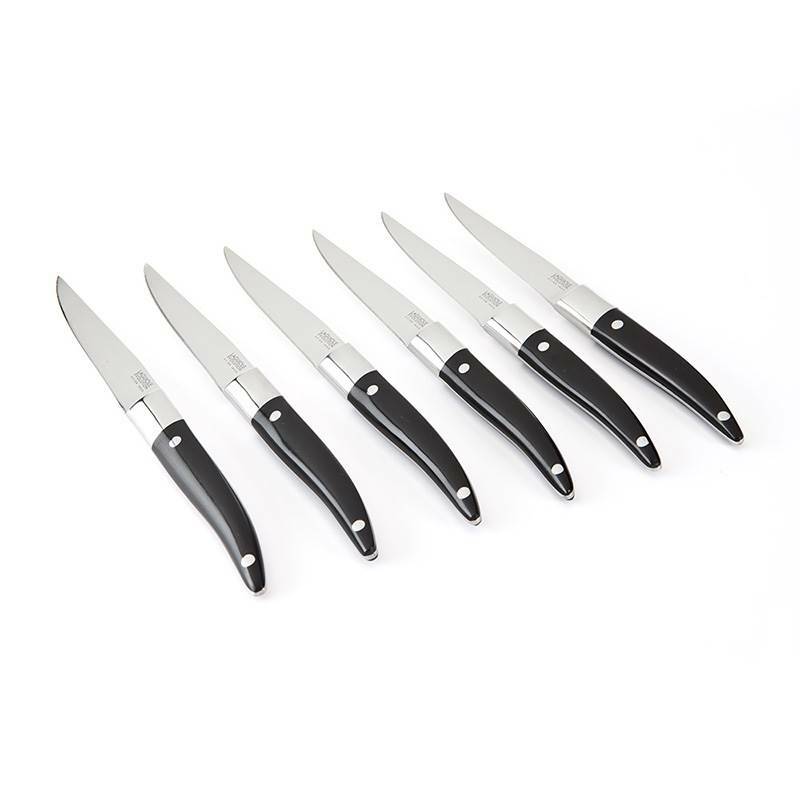 With their large bolster and solid rivets, the cutting power of these professional knives offers a unique comfort of use.